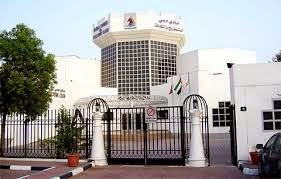 The FIDE World Rapid and Blitz Chess Championships 2014 will be held at the Dubai Culture & Chess Club in Dubai, United Arab Emirates, from 15th June to 21st June 2014. The events will be both Swiss pairings tournaments and will be held over two days for Blitz and three days for Rapid. The Blitz will have twenty one (21) rounds, with a single game for each round, Swiss event. The Rapid will be fifteen (15) rounds, with a single game for each round, Swiss event. In the Blitz Championship, each player will have 3 minutes + 2 seconds additional time per move, starting from move 1. In the Rapid Championship, each player will have 15 minutes + 10 seconds additional time per move, starting from move 1. 1. All players rated at least 2500 in any of the three FIDE rating lists (Standard, Blitz or Rapid) as at the 1st of March 2014 are eligible to participate in the World Blitz Championship. 2. The Blitz & Rapid Championships are open to all the National Champions representing their National Chess Federation regardless of their title or rating. 3. Applications have to be sent by the national federations only. 4. Application form must be submitted online on www.Dubai2014wrb.com/registration not later than 10.05.2014. The prize fund for each event, Rapid and Blitz, is 200,000 USD. The respective winners will be awarded with 40,000 USD each. Chess Girl in Wrong-Chair Horror: Name Them!